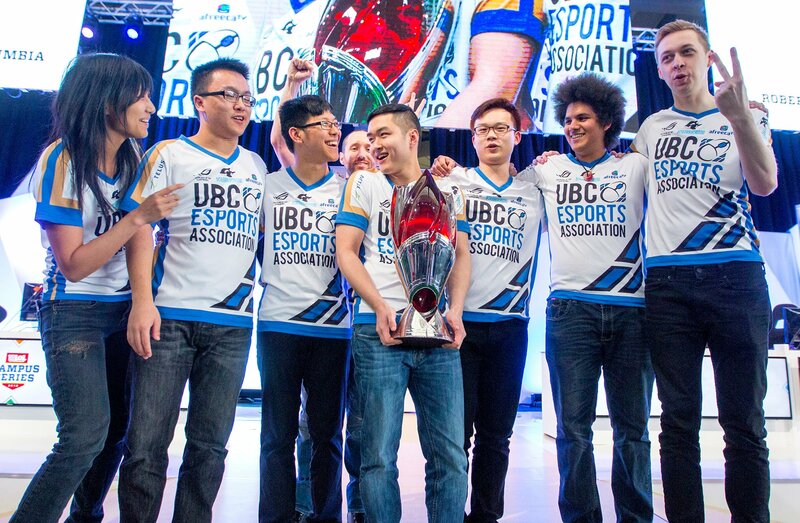 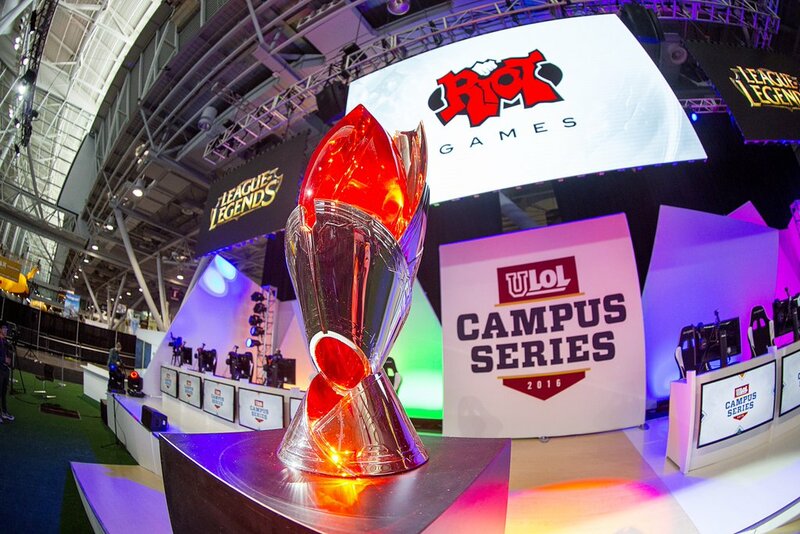 The North American Collegiate Championship for League of Legends was re-branded in 2016, and re-titled University League of Legends Championship, or ULoL. 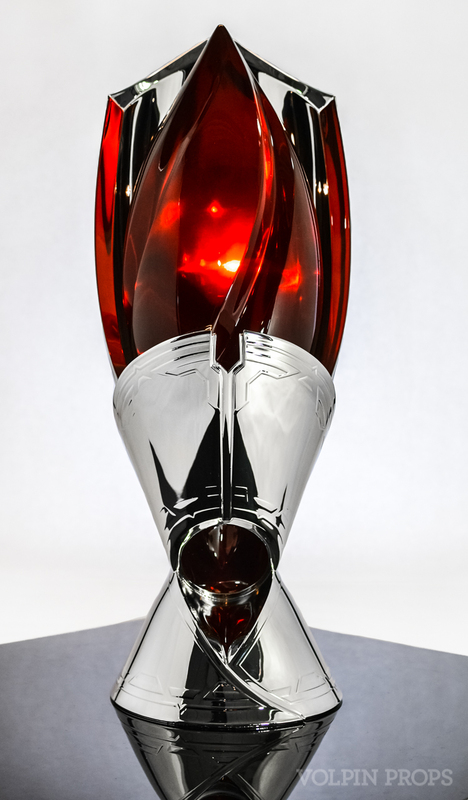 To go along with the shift in branding, naming and aesthetics, the people at Riot Games wanted a new trophy as well. 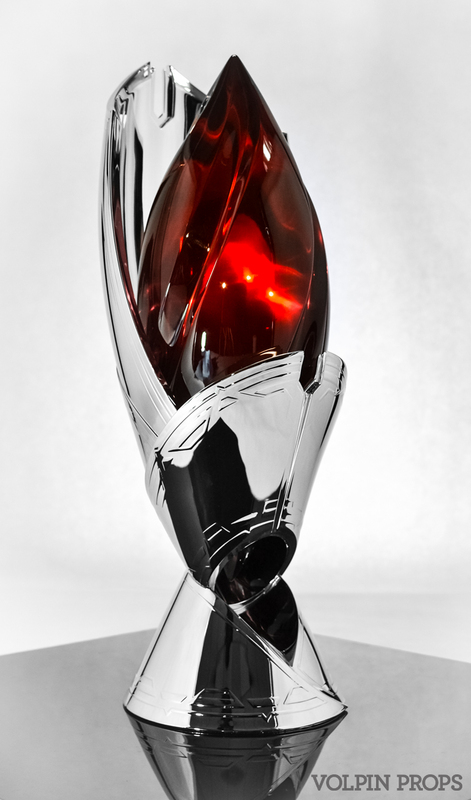 The approach to this project was far different than that of the previous collegiate award. 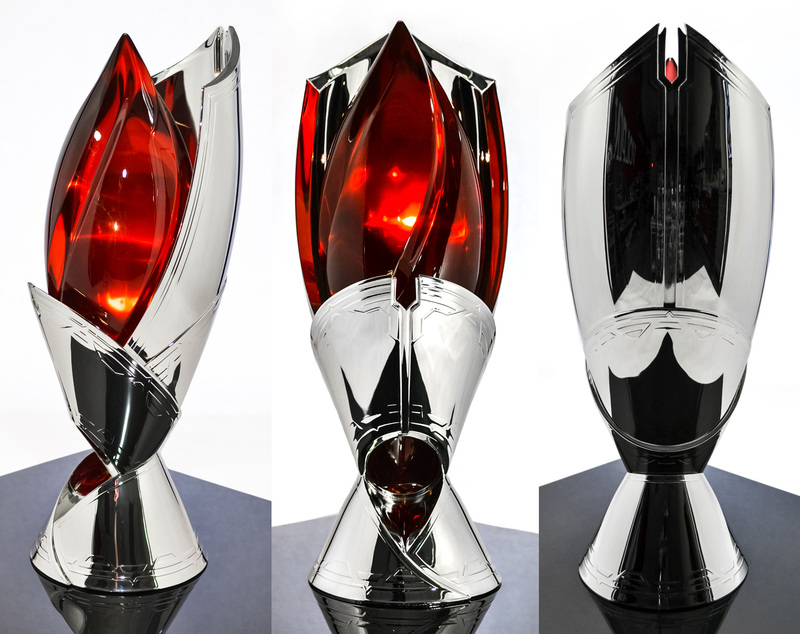 After refining designs (the final turned out to be one of our revised concepts from 2015) the illustration was 3D modeled then output by 3D printing. 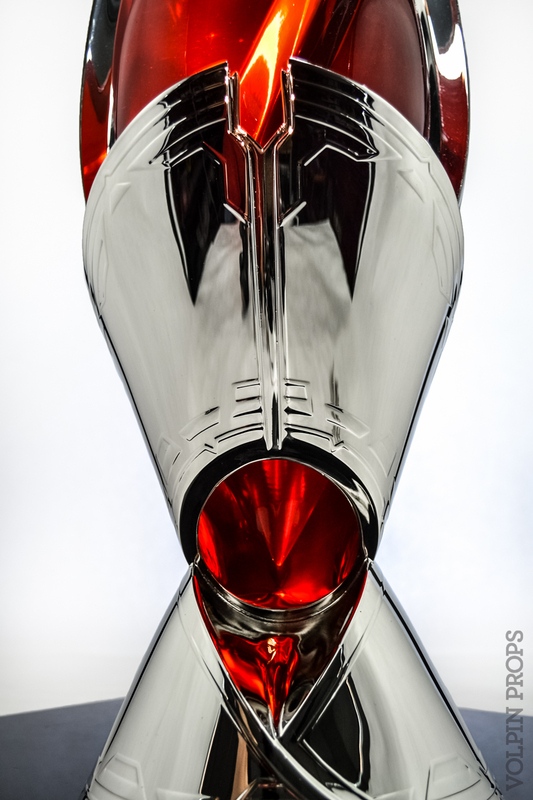 For the main chrome section, the 3D print served as the actual final piece. 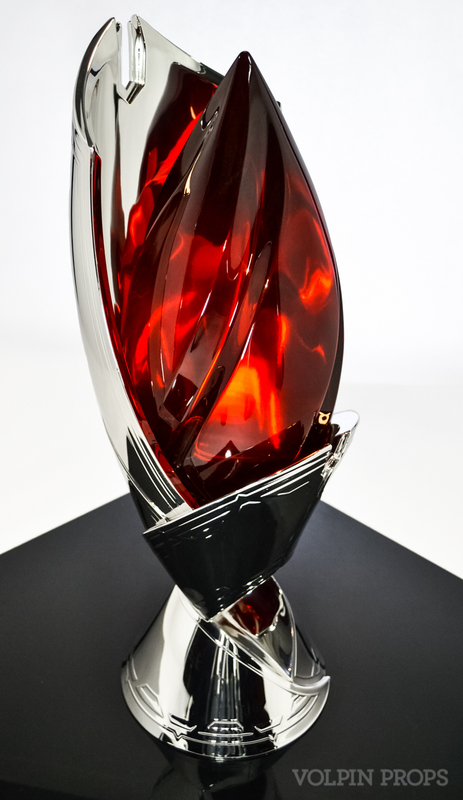 Wall thicknesses in the print were increased to give the component additional strength and the base was back filled with urethane resin to counterbalance the enormous gem. 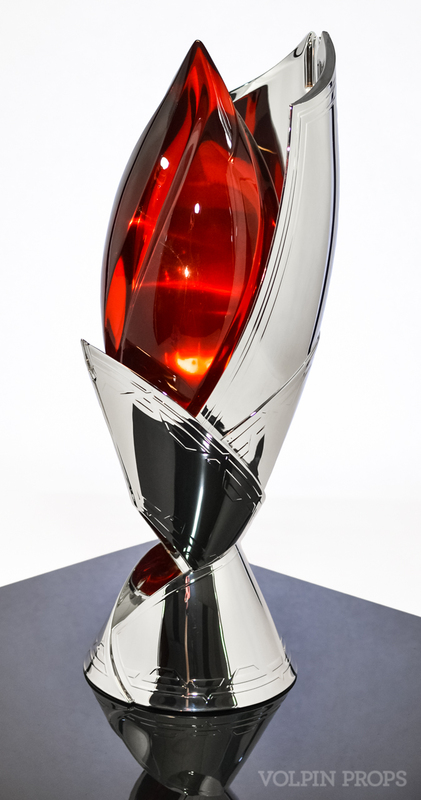 The gem itself was molded and pressure cast in clear resin to produce the bright light scattering effect inside the chromed trophy cup. 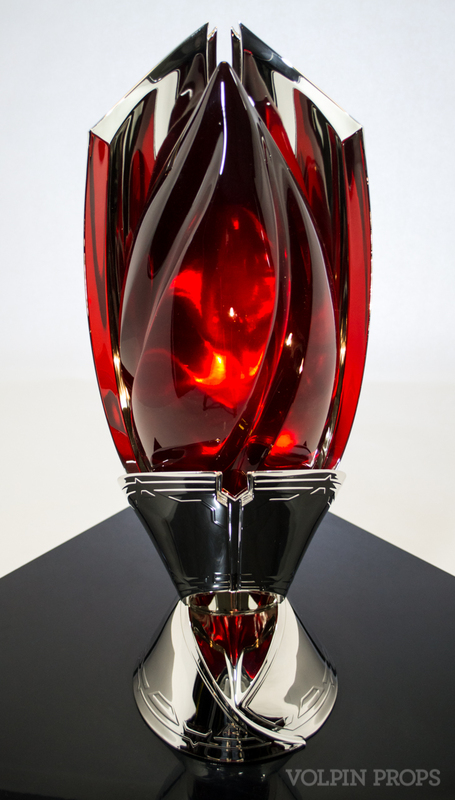 This one component required two full gallons of resin and alone weighs over 12lbs. 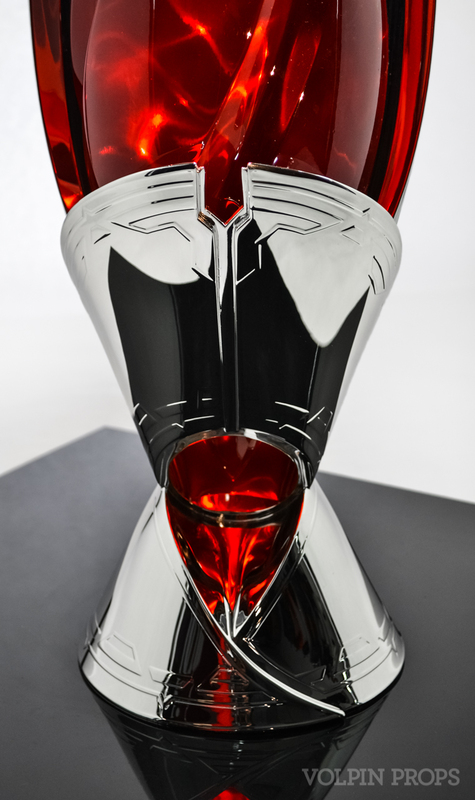 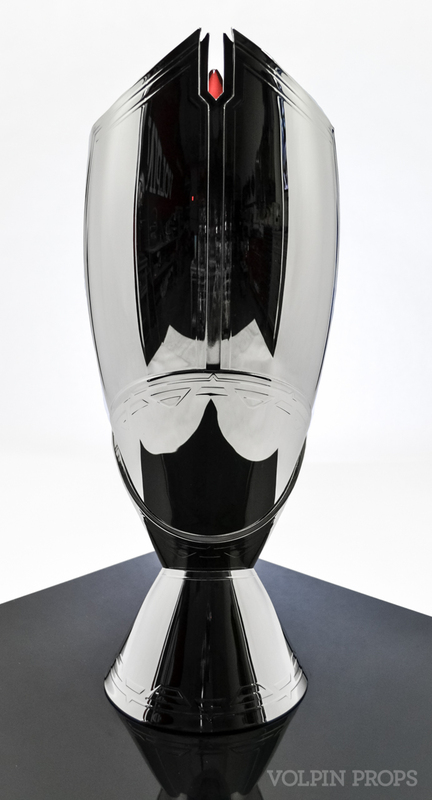 The finished trophy stands 24″ tall and weighs 20lbs, making for one truly solid and visually striking piece.